This week, I wanted to look at lighting, the importance of it and how it can so easily be overlooked. I am going to stay in the kitchen, as this is one of the spaces that can really be effected by poor lighting. 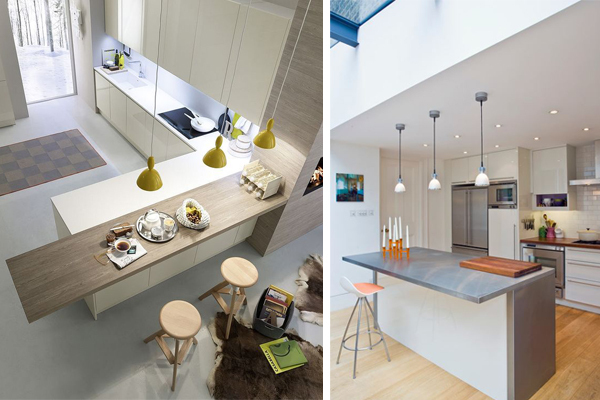 It is a very practical space and if the lighting is not spot on, then it really makes the space less efficient and usable. If you are in the process of an upgrade or renovation, then it is really really important to address the lighting, particularly if it has not been adequate enough for you. 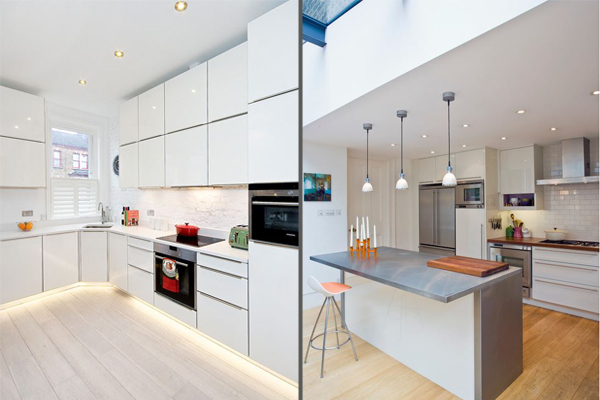 In the working section of the kitchen recessed lighting or spot lights are the most practical option. As they are now available in an LED option, they are also very efficient. 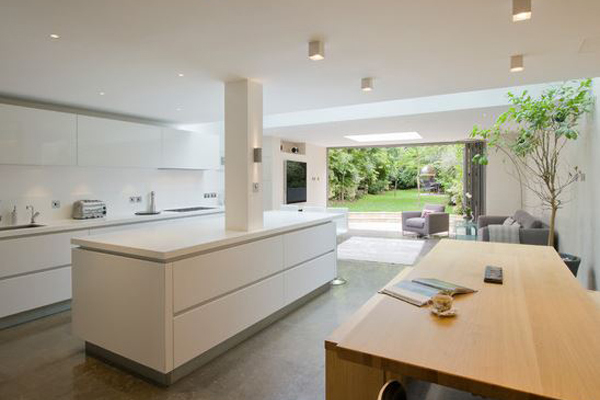 Spot lights should be placed between 1 and 1.5 metres apart, and don’t be afraid to have a row of them sitting over your worktop, as this will through light down onto the work space. 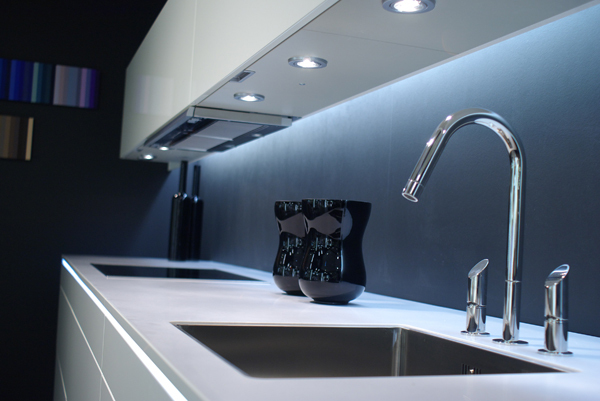 This is much more practical than a row of lights sitting out from the worktop, as if you are standing in front of the worktop, a shadow will be cast. There are different types and styles of recessed and spot lights, so make sure to do your homework before committing to any particular type. If you have the space, it is really effective to incorporate some feature lighting, whether this is a feature pendant, or an LED stripe. It will add something extra to the space. We really love these oversized pendants located above the island (below). 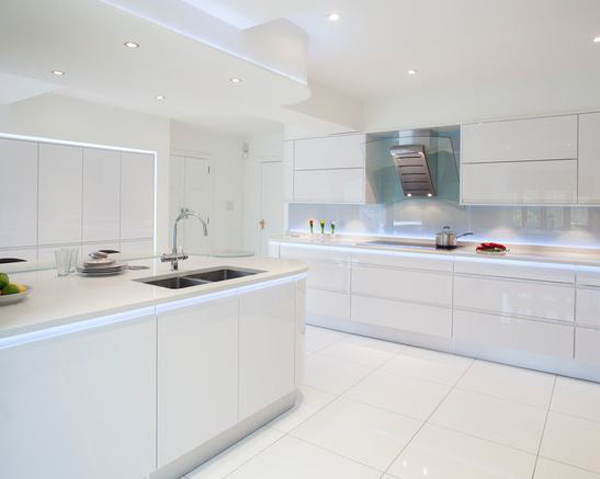 They create drama and a real talking point in this kitchen. If you are not keen on the overly large pendants, then why not consider something a little smaller. It may be a personal preference here in the studio, but we always feel that pendants work better in odd numbers, so 1, 3 or 5. Other such features to consider are LED stripes, which can be pretty much placed anywhere, but can work quite well placed at the top of the kickboard or over the kitchen units. 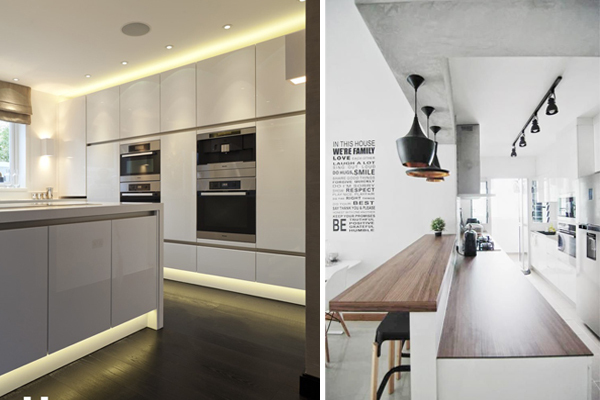 If you are opting for this style of lighting, just be careful of the colour of the LED light. Neutral is always better, so I would stick with a warm white light. 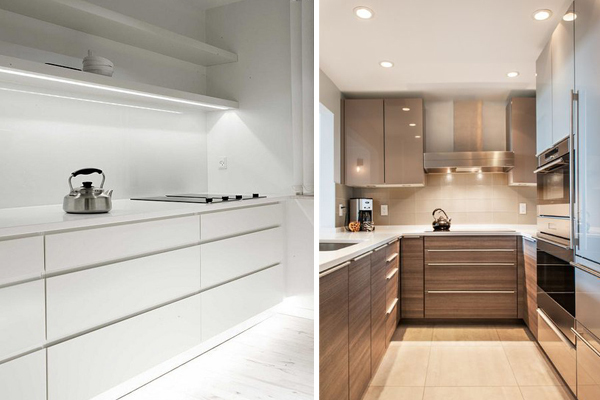 Again, there are a few different styles available, LED stripes, recessed lighting or spots, but it is very important this is determined before your kitchen is installed, as your electrician will have to allow for the lighting. 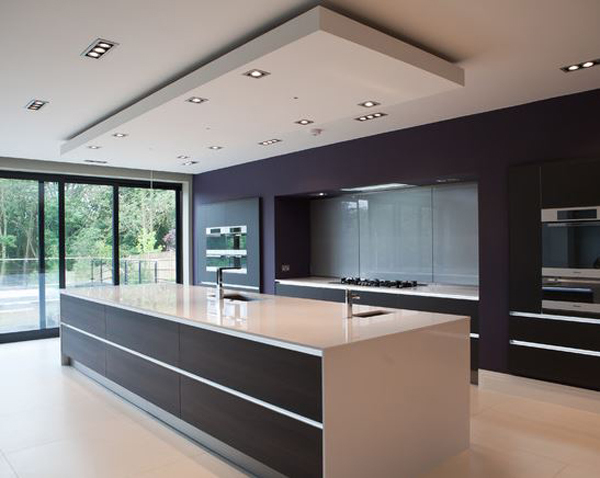 Also, your kitchen company will have to make previsions for the particular type of lighting that you have selected. So plan this one early. 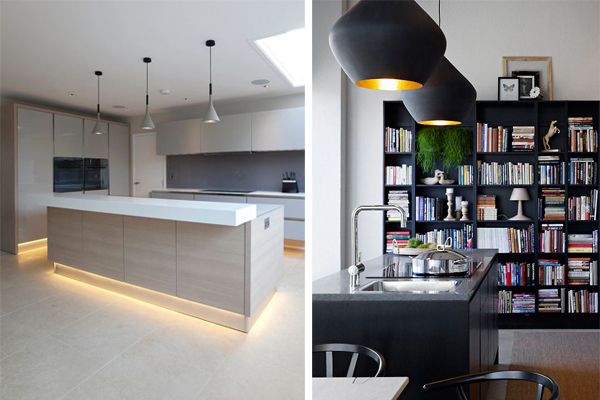 Lighting can be very overwhelming, so if you are planning a large renovation, then it really makes sense to engage a designer to draw up a set of lighting and electrical plans for you. If your architect has produced a lighting plan, then go over it with a fine tooth comb, as more often than not, only the basics have been allowed for.